After many requests from customers and years of development, Studio Electronics proudly announces our AMS RMX/DMX Dual Remote Control. This is an attractive and rugged desktop unit, similar in size and appearance to a Lexicon LARC. It will control an RMX16 Reverb and a DMX 15-80S / S-DMX Delay simultaneously, and adds two Chorus Control programs to the 15-80S and S-DMX. 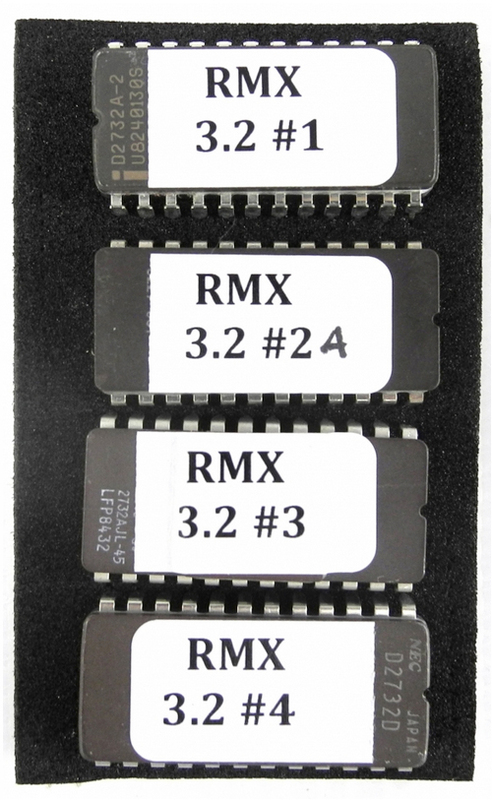 The remote includes our RMX16 3.2A program upgrade kit. This upgrade gives you 8 more of the original AMS reverb programs (Hall A1, Room A0, Room B1, Plate B1, Image P1, Reverse 2, Delay, and Freeze). The unit includes a worldwide power supply; 100-240 VAC, 50/60 Hz. For North American buyers we'll include a standard U.S. type power cord. Buyers outside of North America will need to supply their own power cord; the power supply itself has a standard IEC type connector, compatible with standard AC cords in any region. A user guide is also included. This remote can be used with any RMX16, but the program interface must be fitted with our RMX16 program upgrade kit. This is easy to do and the work can be performed by anyone, regardless of technical experience. This kit includes communication protocols for the remote and adds 8 more of the original AMS reverb programs. When ordering the AMS remote, please look at the Program Interface board in your AMS to see which of these 3 program sets are fitted. This board is in the third socket from the right, to the left of the CPU board which is on the far right. If the Program Interface board has just 3 IC's and one empty socket, then you have an original program set. You will need to remove the 3 IC's and install the 4 new IC's that come with the remote. If the Program Interface board has 4 IC's and the second one is marked 3.2 #2, you have an older type upgrade kit and the #2 IC will be replaced. We will include that IC when we ship the remote to you, and refund $75 to you. If the Program Interface board has 4 IC's and the second one is marked 3.2 #2A, you have the current version upgrade, nothing more needs to be changed, and we will refund $100 to you. Most DMX 15-80S units were built with a 25-pin remote port on the rear panel, but not all. All S-DMX units were built with a remote port. If you want to use the remote with a either model, verify that the rear panel has a 25-pin port, and remove the cover to confirm that the port is connected (via ribbon cable) to the internals of the machine. If it is, the unit is probably a good candidate for use with a remote, but the CPU board will need to be fitted with a new system IC. We will include this IC with the remote at no charge, but will need to talk with you beforehand to confirm that your unit is remote compatible, and determine with system IC is right for your Delay unit. If you plan to use this remote with a DMX 15-80S or S-DMX we suggest that you contact us to go over these details before buying. If you prefer, you can ship your DMX 15-80S or S-DMX to us, and we'll handle the upgrade, for an additional fee. Please note that some AMS units have remote ports that are installed and connected but no longer work, due to some internal failure over the years. Unfortunately, there's no way to test a port without actually plugging in a remote control. If you have an AMS unit with a dead remote port we can repair it. However, returns are subject to a 10% restocking fee. AMS delays and reverbs are among our specialties, we've serviced and sold hundreds of them. If you have any questions, please contact us.